Relatively faithful adaptation of Franz Kafka’s short story ‘A Report for An Academy.’ Writer Guy Sprung updates the piece with heavy handed references to the American military complex and reality television but the essential narrative remains the same. An ape captured by an expedition recounts his journey towards becoming ‘civilised’ by his captors and becoming more human. Through his lecture he inadvertently reveals the anguish caused by his removal from his homeland and the subservience involved in adapting to stay alive at the expense of his own personal freedom. It’s energetically performed by Howard Rosenstein who bounds around the auditorium with ape like athleticism and the production captures both the pathos in Kafka’s story and its bleak humour. Fascinating show about the problems faced by club impresario Norman Gosney and his Burlesque artist wife Amelia Kallman when they open a club in Shanghai. They went over with dreams of an exotic hinterland formed by Hollywood movies of the 30s’ but instead found themselves being leaned on by Triads and the Communist Party. Despite the huge popularity of their club with Westerners and locals alike the govt forced stringent checks on their routines stifling their creativity and would invent new ways to interfere with their business. Eventually they had to flee China after a tip off from a police source about their imminent arrest on trumped up charges. Gosney is a charismatic figure and a wonderful raconteur and he tells this story with considerable humour while Kallman’s routines are witty and informed with a love of old movies. As film buffs they should really have known it was tempting fate to call their club CHINATOWN though. 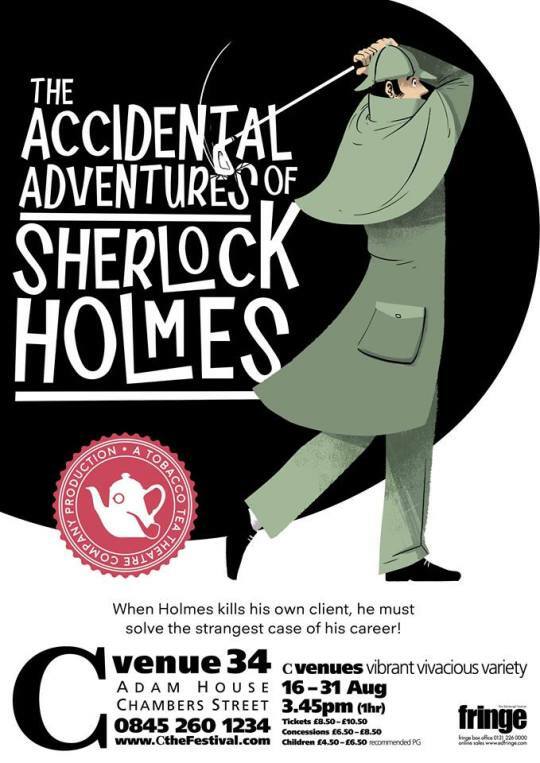 Amusing send up of Conan Doyle’s detective fiction which lovingly deconstructs the flaws in Holmes stories (last minute revelations withheld from the reader, coincidence, absurd plots). Dr Watson (Thomas Parker) attempts to rescue Holmes (Jasmine Atkins-Smart) from his drug induced ennui by concocting an elaborate case for the detective to solve. Problems arise though when Holmes inadvertently kills the client with a 3-iron golf club and so begins an anarchic farce involving a deer stalker hat wearing Australian and an opium-addicted Queen. It’s slightly chaotic but held together by Parker’s charming comic performance as a Nigel Bruce type bumbling Dr Watson. Roundtable discussion into F. Scott Fitzgerald’s unfinished novel ‘The Last Tycoon’ about the downfall of a young movie mogul based loosely on the short life of Irving J. Thalberg. 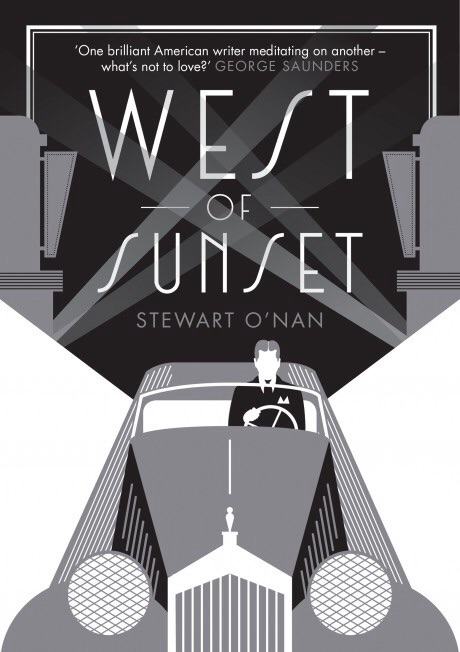 O’Nan’s latest work ‘West of Sunset’ follows Fitzgerald’s last few years struggling in Hollywood. Despite his talent for melodrama and telling stories about beautiful people Fitzgerald couldn’t adapt his writing style to the needs of the Hollywood studio system which for better or worse back then operated as a factory production line. Usually fired early on in a film’s development his only screen credit would be shared with another eleven writers for ‘A Yank at Oxford’ (38, Jack Conway). O’Nan filled in a great deal of the background around Fitzgerald’s time in Tinsel Town and went into the novel in depth. I was a bit disappointed to find out Fitzgerald was an angry drunk prone to violent rages rather than the sad pathetic lush I’d always imagined. It’s been a while since I’ve visited The Last Tycoon and I’m ashamed to say I’ve never seen Elia Kazan’s 76’ movie adaptation starring Robert De Niro.